Every year on March 22nd, we celebrate World Water Day. Across the blogosphere (a.k.a. social media) the #WorldWaterDay hashtag graces people’s timelines, reminding us of the importance of clean water and that it is, in fact, a privilege. Not everyone has the convenience of easy access to it – whether that is overseas, in some American cities, or even in your local neighborhood. 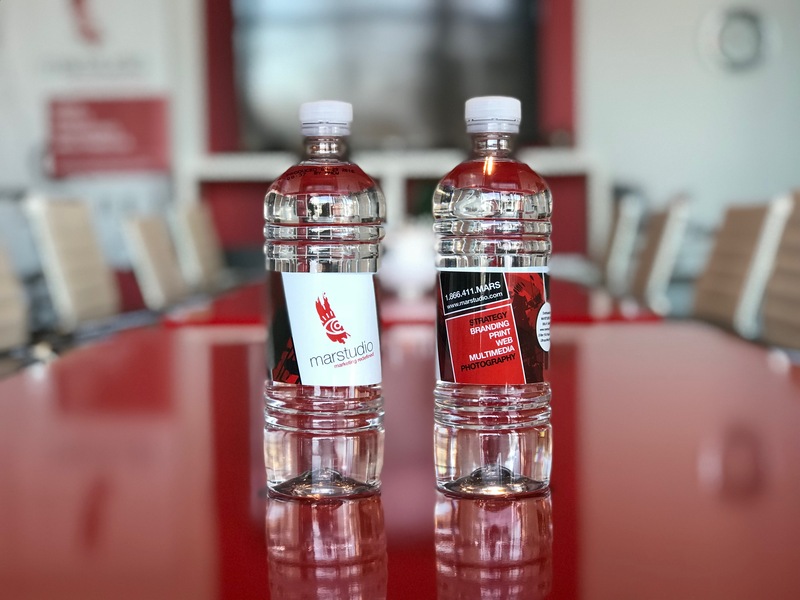 As a marketing company, we hand out a good number of promotional items, and one of the most useful items we’ve branded has been water bottles. We offer them at our free consults, and give them to clients during meetings. 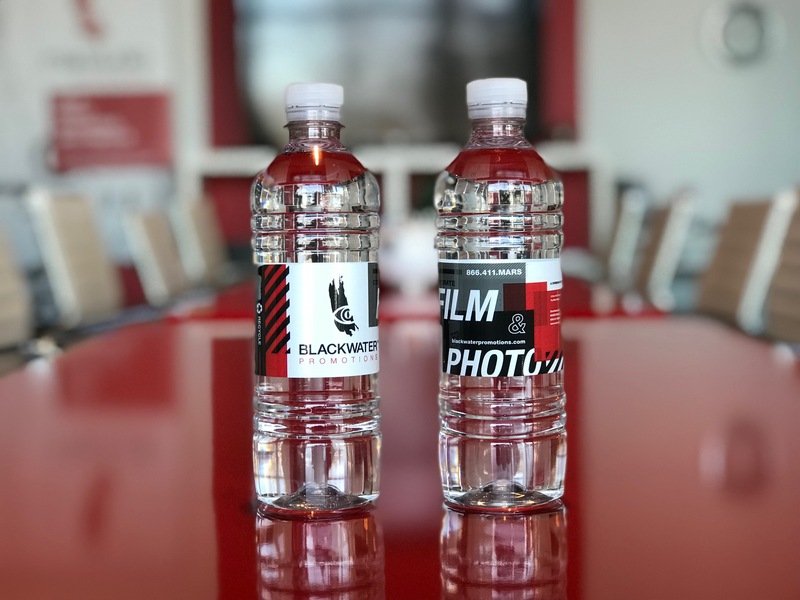 We recently even made custom water bottles for our new film and photo divsion, BLACKWATER Promotions. Water as a promotional item works well because everyone needs it. It is essential to life. That is what is important to us today. That is why today, on World Water Day, we want to do our part and act as a reminder that any action is helpful. We are donating cases of water to Montgomery County Coalition for the Homeless (MCCH) Men’s Emergency Shelter, a local Montgomery County organization, and we invite you follow our lead. Whether that means donating water to MCCH along with us, donating to Flint, Michigan, or getting informed, the key is to act. We hand out free water almost every day, and on World Water Day we wanted to make sure that this water we hand out has a bit more of an impact. More info on MCCH: The Men’s Emergency Shelter is located on 600-B East Gude Drive in Rockville, Maryland. As an organization that relies solely on community partnership and donation to feed those who stay at their shelter (about 200 per night), every donation is highly impactful and appreciated, especially during this frigid winter weather. To donate, you can simply stop by and drop off cases of water, or order cases online and have them delivered to the shelter. Call (301) 217-0314 or check their website for more information. Don’t forget to share this blog to help spread the word and increase support for this worthy cause. The Marstudio team has diverse capabilities in print design, web design and development, multimedia, and a plethora of other creative disciplines.